You won't experience snow-covered trees or below-zero temperatures in Palm Desert, but we are more than certain that you will find snow-covered mountains, sunshine, blue skies, and amazing weather. 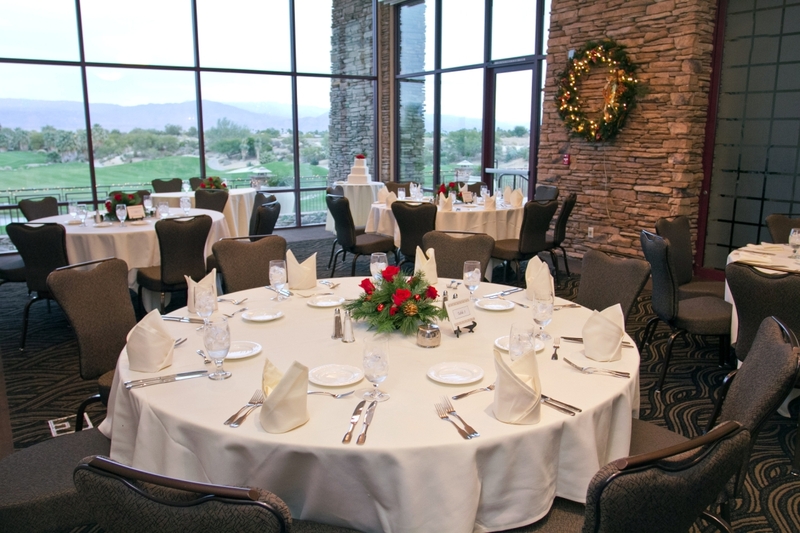 Gather with friends and family at Desert Willow Golf Resort's Christmas Celebration on December 6th. Savor the spirit of the season in our spectacular clubhouse trimmed for the holidays with performances by Skip Johnson from The Zippers Trio and holiday classics by Christmas carolers. Enjoy an unforgettable Christmas buffet while drinking in some of the most stunning views in Palm Desert. Our Christmas Celebration is sure to make you feel merry and bright! The Christmas Celebration is designed to share the Christmas spirit with others; therefore we are offering family style seating. Reservations are required and will fill up quickly. For more information call (760) 346-7060 Ext. 100. 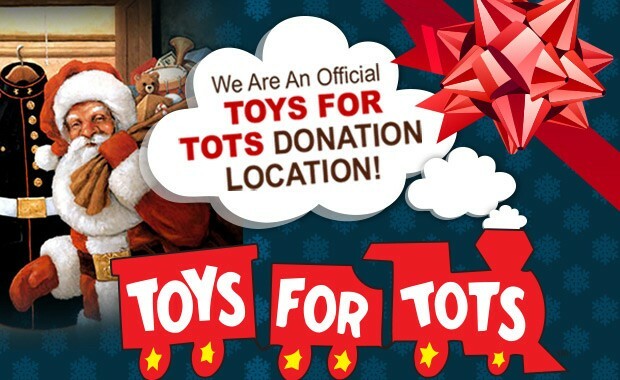 Desert Willow Golf Resort is an official Toys for Tots donation location! Please feel free to bring a new, unwrapped toy to donate on the night of the Christmas Celebration and you will be entered into a drawing for "Breakfast or Lunch for Four at The Terrace Restaurant at Desert Willow Golf Resort". *Price is subject to tax and gratuity. Disclaimer: Terrace seating is first come first serve by reservation. Request highchairs in advance. Parties of 8 or more carry an automatic 18% gratuity. All reservations require a credit card in advance. Cancellations made less than 48 hours in advance are subject to a $50.00 cancellation fee. Special dietary requests need to be requested in advance.